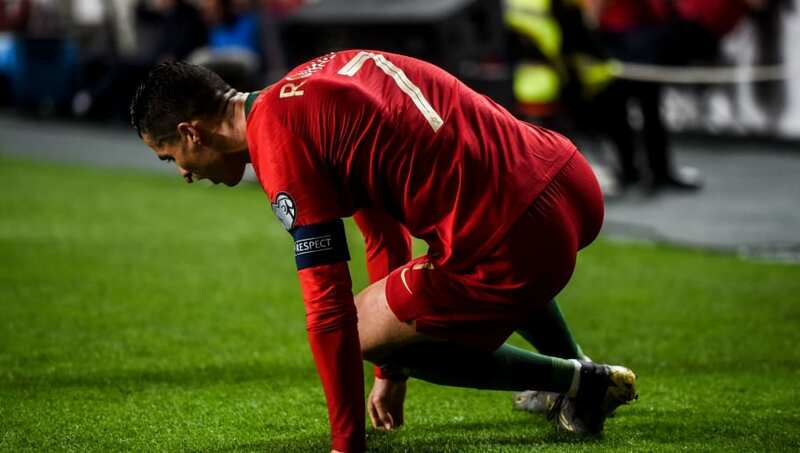 ​Portugal talisman and skipper Cristiano Ronaldo has revealed that he is not worried about his injury, after the 34-year-old had to be substituted after picking up a right leg injury during their 1-1 draw with Serbia in the Euro 2020 qualifiers on Monday. Ronaldo pulled up after sprinting on the touchline in the 31st minute, with the striker immediately signaling for a replacement, post which he received treatment from the doctors on what is understood to be a hamstring injury on his right leg. The 34-year-old though is not too worried by the turn of events, believing that he will recover soon. "I am not worried, I know my body. It happens, it's football ... I am fine because I know I will come back in one or two weeks," he said as quoted by ​ESPN. The five-time Ballon d'Or winner was making just his second appearance for Portugal since the World Cup, with Ronaldo revealing that he took time off because he needed time for himself following his move to Juventus. Ronaldo is expected to miss Juventus' next game against Empoli in the Serie A on Saturday, but should be fit for their clash against Ajax in the first leg of the UEFA Champions League semifinals scheduled for the 10th of April.